The Buchbinder Legionaere Regensburg announced their new coaching staff on Friday afternoon. Just a couple of days after releasing Martin Helmig from his post as head coach, they introduced Ivan Rodriguez has new manager of the club. Additionally they added Kai Gronauer as hitting coach to the staff. It is quite the coup for the Buchbinder Legionaere. Rodriguez is not known in Germany, but in European and International Baseball he is very well. He is coming from Mr. Cocker HCAW in the Dutch Hoofdklasse, where he worked as manager the past two seasons. He also played and coached in Venezuela. A few probably remember his Orkas BBC, which played as a European team one season in the Venezuelan Winter League. In the Netherlands he also worked as assistant coach with the Dutch Junior National Team. Gronauer meanwhile is well known in Germany. The catcher played the past seven years in the New York Mets organization, reaching Triple-A. However his contract ran out this year and he decided to stop playing professionally in the United States. He is going to play and work as hitting coach in Regensburg. The Buchbinder Legionaere also announced their new concept for the coaching staff. They now longer will train teams, but positions. Besides managing the Bundesliga team Rodriguez will also be responsible for the infielders. Gronauer works the hitting part of the game. Martin Brunner continues to take care of the pitchers, Stefan Mueller of strength and conditioning as well as the outfielders and Christopher Howard of the catchers. They will start with the winter training on November 2, also the first day Rodriguez is expected to be in Regensburg. Justin Kuehn (going back to the US) and Enzo Muschik (moves to Munich) will leave the team. 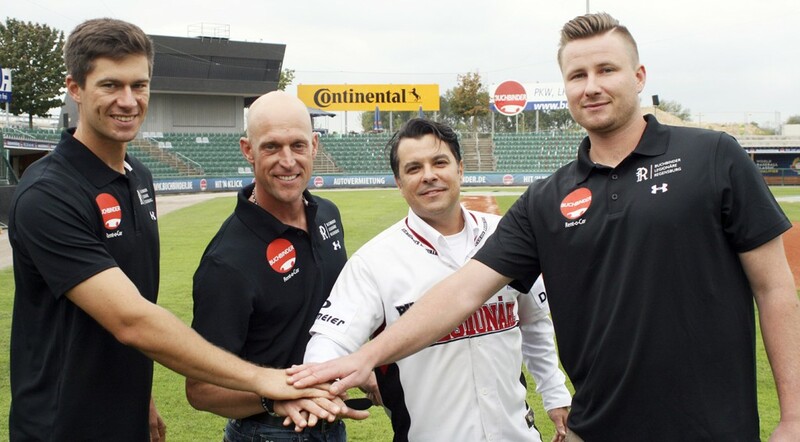 Besides Gronauer it was already known that 18-year-old infielder Lucas Dickman of the Mainz Athletics joins the club.